Home › Toys › Wooden Train Track 54 Piece Set - Compatible With Thomas Wooden Railway Chugg.. 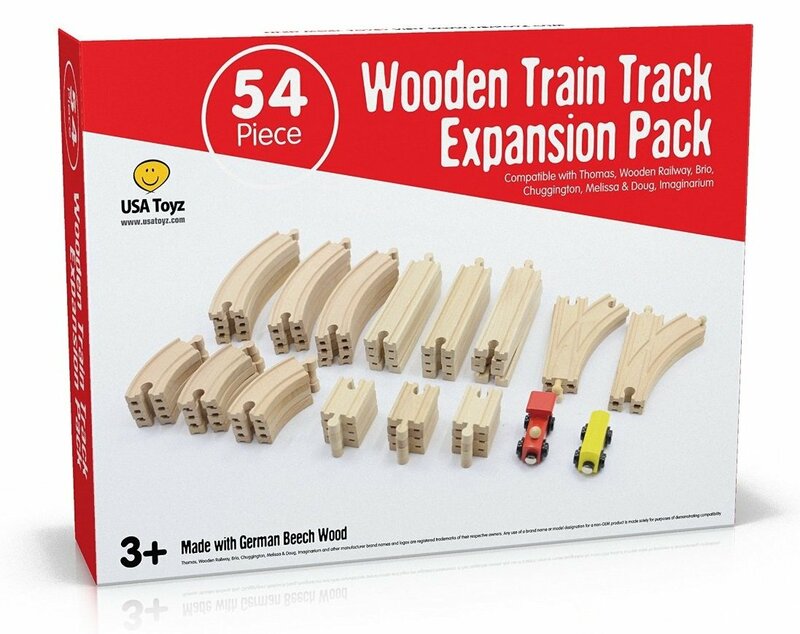 Wooden Train Track 54 Piece Set - Compatible With Thomas Wooden Railway Chugg..
Do you remember the days when kids could just be kids? Break away from thetechnology overload and bring your little ones back to those "good old days".Let their imaginations run wild as you build and create your very own railroadadventure. This wooden toy train set includes 54 assorted pieces that can beeasily designed into hundreds of different railways. In addition to thetracks, instructions, track designs and 1 yellow car and one red car andinstructions are included in this set. This train track is of the highestquality and is comprised of the finest German Beech wood. All curved pieceshave intricately detailed grooves down the sides. It offers exceptionaldurability and would make a great family treasure to pass down for years tocome. Compatible toy train models include Thomas, Wood Railway, Brio,Chuggington, Melissa & Doug, Imaginarium and more. This train set complieswith the stringent safety standards set forth in ASTM F963. WARNING: SmallParts - Choking Hazard. Recommended for Ages 3+.